Toy Horse Shire Mare 13735 - Toys & Learning - Schleich Specialists - 100% - Fast Service - Sale Prices. Shire horses are big big animals, they are the tallest breed in the world and make the Clydesdale and Tinkers look almost small. This Mare looks powerfully elegant and ready to go. 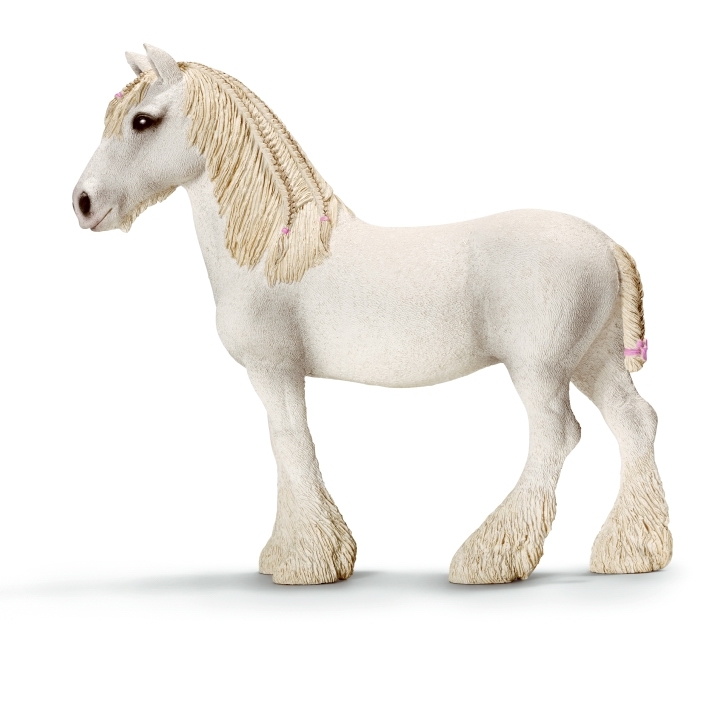 This model horse Shire Mare is one of the top quality hand finished products from the Schleich range of horses. Amazing, she is a truly beautiful mare! This is a very special Model, the detailing is wonderful especially on the mane, beautiful colouring love the pink bow on the tail - typical Schleich always paying attention to detail!